Well, not the final frontier, but it could be, but may be I should back up a bit. The other day, I was riding to work and at one point I had no idea how I got from one point in my commute to another. It was like someone else was riding the bike. I experience this from time to time in a car, but I never have experienced this on a bike. It's not like I blacked out, but that my riding must have been autonomic. In martial arts, this is known as Mushin or "no mind". What bothers me is that while nothing bad happened, would my "no mindedness" react properly to negative circumstances, or not because I was actually spacing out. It would be nice to believe the former, which is a state attained by a highly trained body, mind and soul. Not given to fits of egotism, my first suspicion is the latter, which is I was spacing because I was tired...or may be something else? May be my commute has become so mundane and I have done it so many times or enough times that on some level the ride has become autonomic. In a car this isn't quite as critical being surround by metal and safety glass. 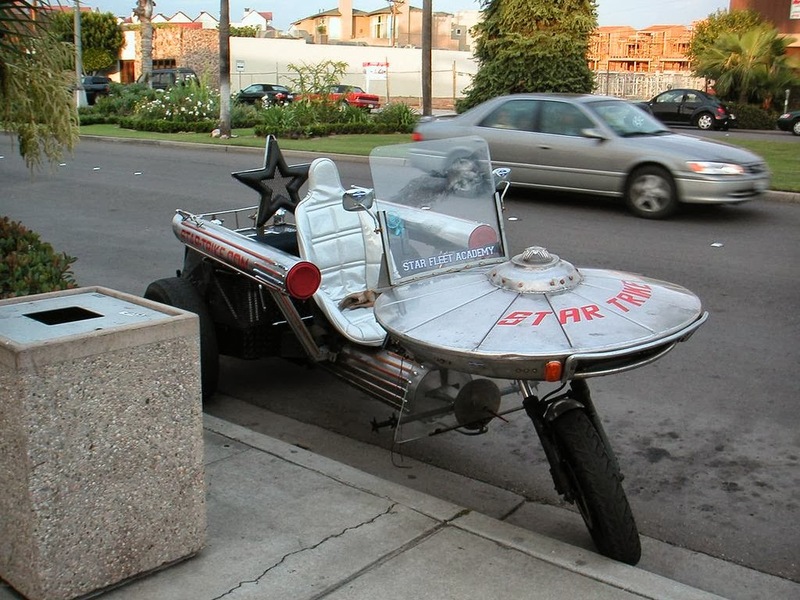 On a bike, exposed to everything around a rider, which can be everything from concrete, steel, asphalt, cars and barrel cactus, the results of a close encounter of the sixth kind could be out of this world. Due to my size and the effects gravity has on my body, I thoroughly eschew cycle-astronautical training. So, that leaves me with one question: What the hell happened? I think this has happened to us all when driving. I can't think off the top of my head if it has when I've ben riding. When it happens in the car (not often luckily) I often wonder how I manage to go on auto-pilot. The mind obviously is registering traffic and lights and things and doing what needs to be done. But it does make me wonder where the mind goes when it occurs. I don't even know where my mind was. Calculating something I am sure. It's like when someone is talking to you and your mind drifts and you don't hear anything, or so it seems, but somehow you get the idea. The thing is, it's not like I was going straight down a road. There was merging, decreasing radius banked turn, etc. After that, I made a promise to myself to stay awake at all times.